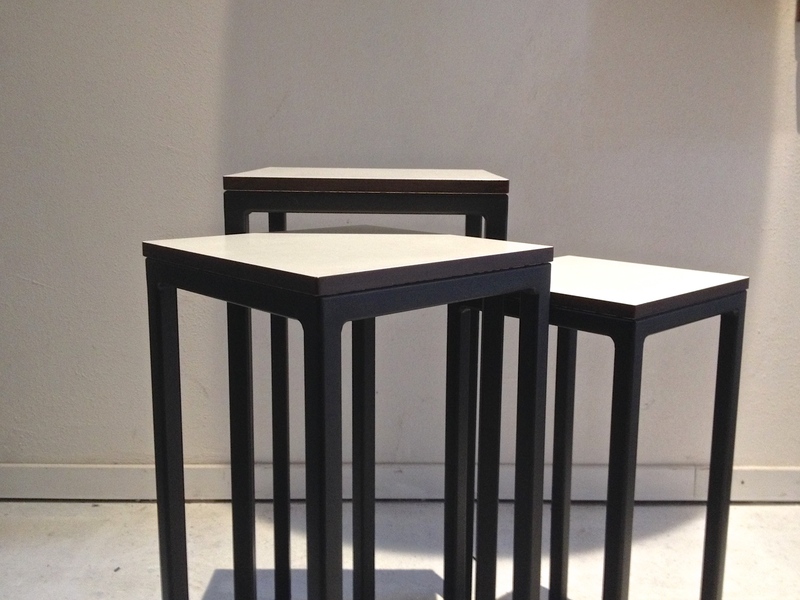 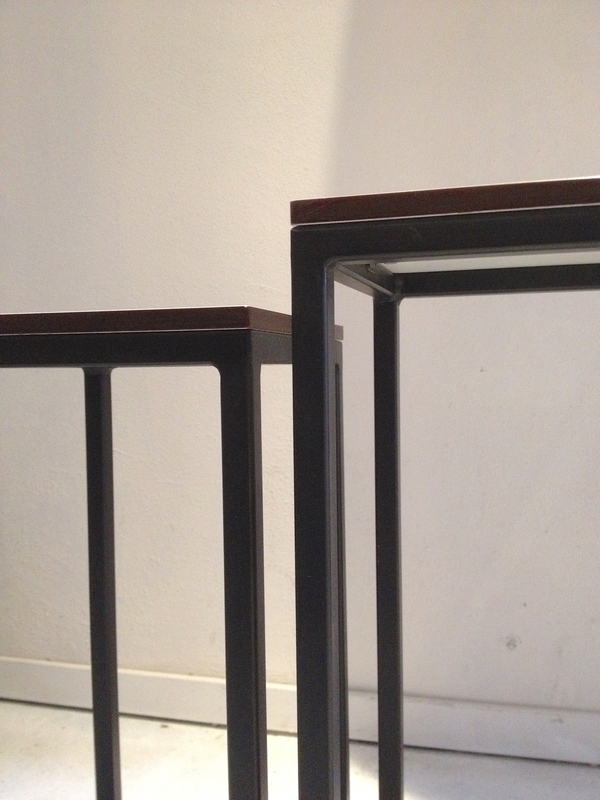 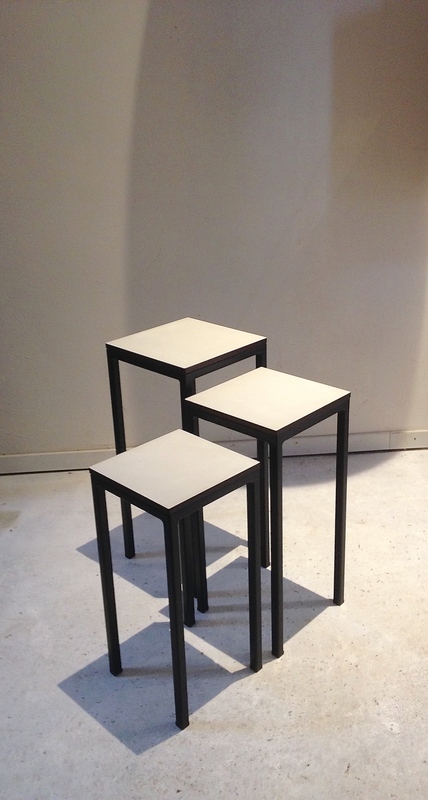 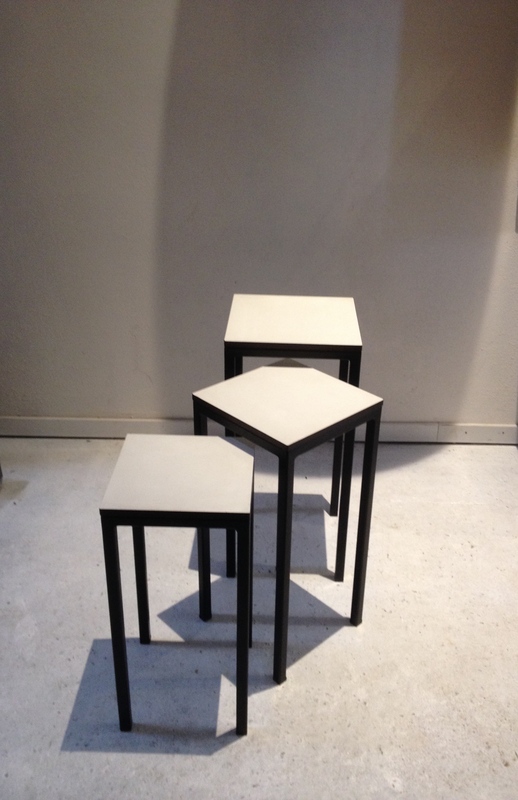 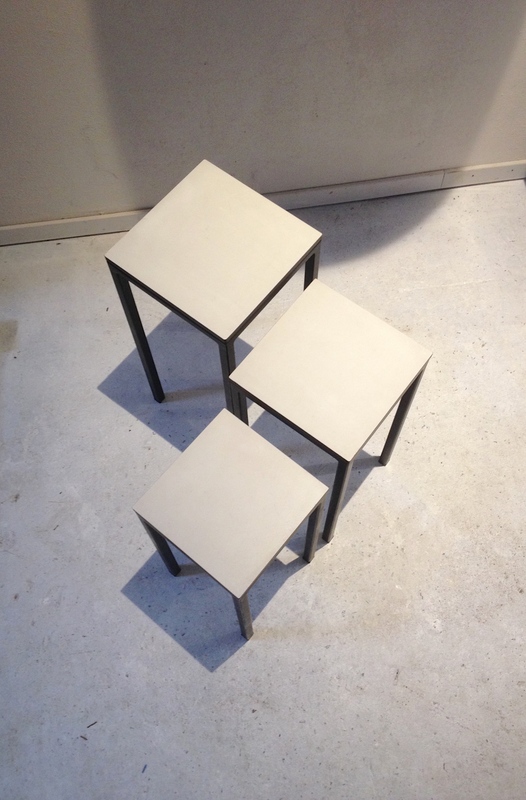 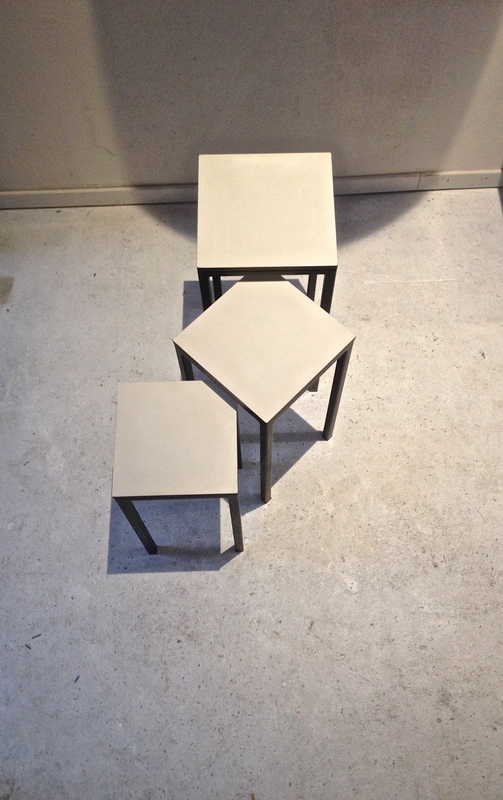 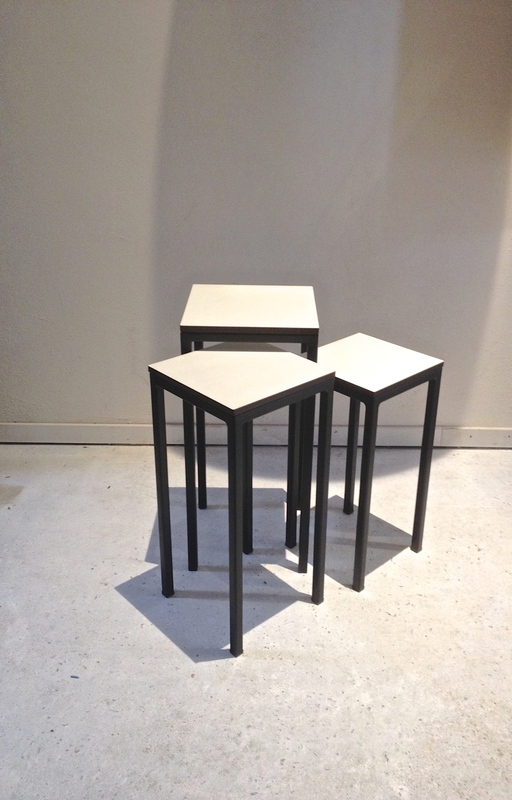 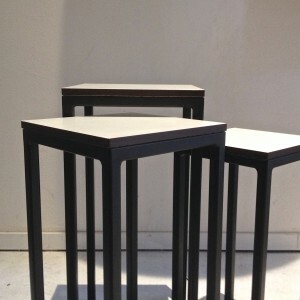 3 Small side tables – Tight form tables. 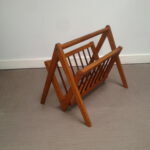 Designer unknown , maybe its made by Spectrum but we cannot find it. 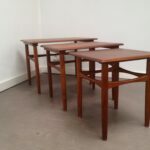 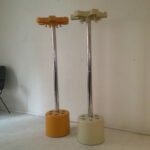 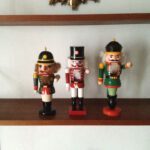 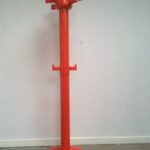 In perfect condition, and very nice made, height quality. 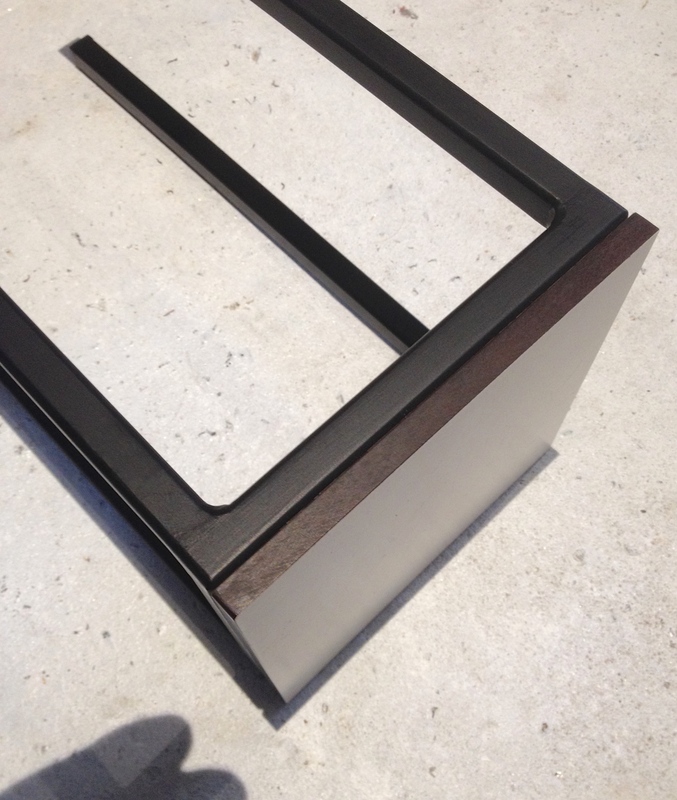 Material : Metal en hard trespa sheet material.